The white industrial pumps are available here in a 28/410 size with a 7'' 11/16 dip tube length. These white industrial pumps dispense 4 cc of fluid per stroke. 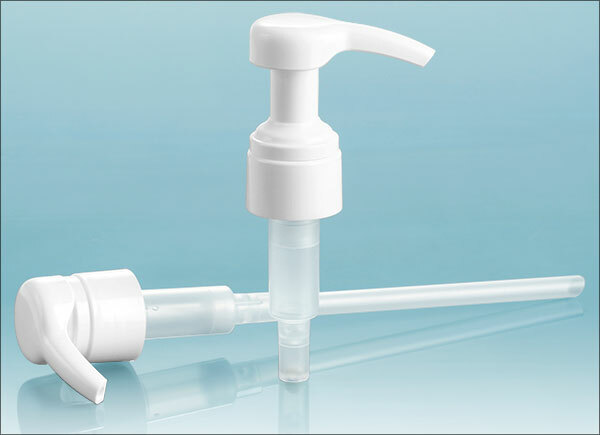 Try using these pumps for dispensing products such as soaps and cleaning products. 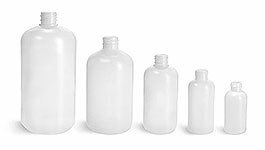 Be sure to test the industrial pumps with your container for proper compatibility.